If you are looking for a versatile minivan that’s backed by a legendary car maker, the 2017 Honda Odyssey could be your next vehicle. It comes complete with three rows of seating to accommodate families of all sizes. If you need extra cargo space, no problem; the easy fold third row seating conveniently tucks away, allowing for more storage area. The cabin is roomy and well-appointed with comfort features, leading safety features and modern technology. 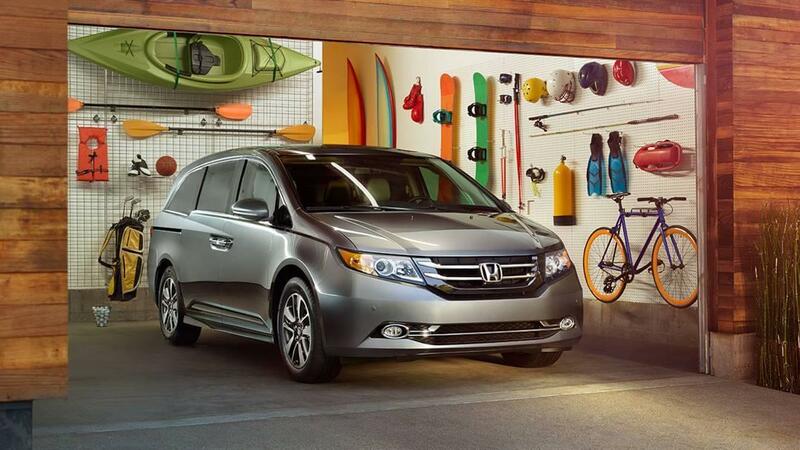 Agile handling and a powerful engine complete this well-rounded minivan. Your family deserves the best in transportation, and the 2017 Honda Odyssey delivers on all fronts! When you’re looking for a 2017 Honda Odyssey for sale in Fontana, CA, or anywhere in the Inland Empire, Rock Honda should be your first stop. You will be amazed at our extensive 2017 Honda Odyssey inventory near San Bernardino, CA and near Rancho Cucamonga, CA. We are a full-service dealership with in-house financing, as well as a superior repair and service department. Our expert staff is on hand to answer your questions. Be sure to ask about our many special offers when you stop by to test drive a 2017 Honda Odyssey near San Bernardino, CA. 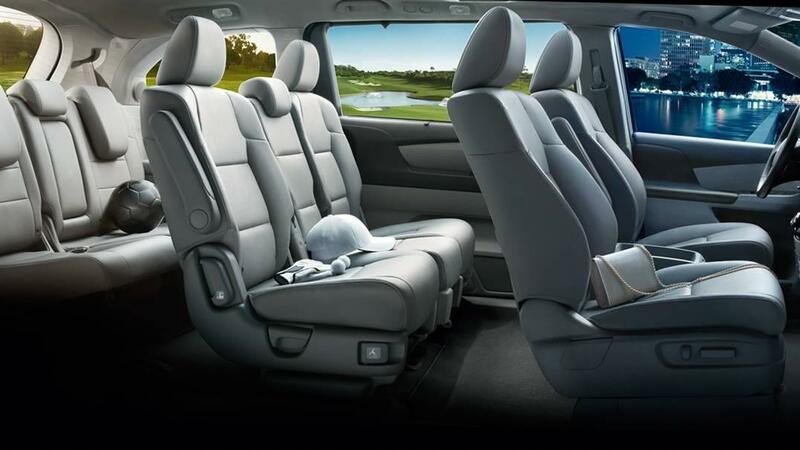 The 2017 Honda Odyssey in Fontana, CA is engineered to be comfortable and convenient for the driver as well as the passengers. This is evident in the many popular standard features, such as passenger assist grips, power door and tailgate locks and beverage holders — all designed for your convenience. Standard tech equipment included on all models includes the easy to see 8-inch high resolution WVGA screen with interface dial and customizable feature settings. You can set the temperature in your minivan before you enter with the optional/available remote engine start system, which allows you to have access to the automatic climate control settings. When quality and value matter, the 2017 Honda Odyssey is a great choice for your family. 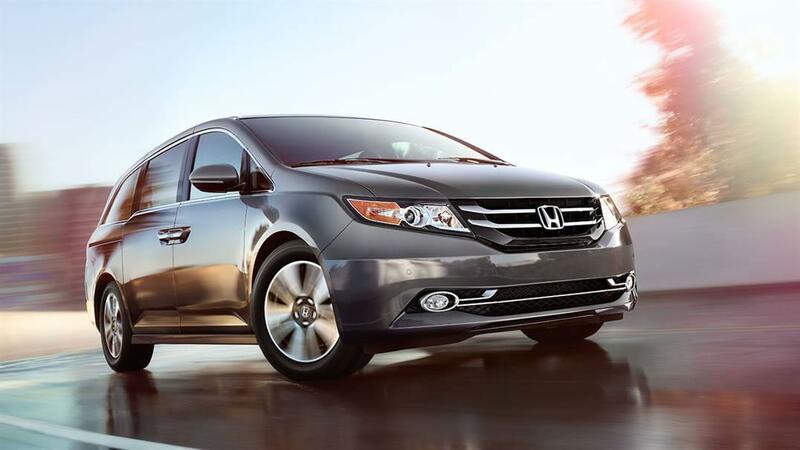 The 2017 Honda Odyssey is equipped with the standard 3.5-liter V6, 24-valve i-VTEC® gas engine with single overhead cams and variable valve timing. This engine provides excellent pick up with its 248 horsepower and up to 250 lb.-ft. of torque. Eco Assist™ is also available on all models to provide outstanding fuel economy. This engine pairs well with the smooth shifting 6-speed automatic transmission. Despite the size of this large and spacious minivan, it handles very well through city streets and glides effortlessly along the highway. The impressive 2017 Honda Odyssey offers what a growing family needs in transportation. We here at Rock Honda in Fontana, CA look forward to showing off the awesome 2017 Honda Odyssey, so come on over and check it out!